It’s fun figuring out how to reach out to people and grow business. My philosophy is that we’re partners with our clients, so I help our project managers build and maintain those partnerships. Adrienne enjoys the diversity of challenges marketing requires. 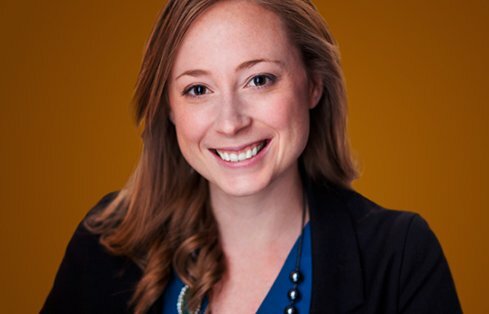 She leverages her deep experience marketing for consulting firms to support GeoEngineers’ business development efforts in the Portland, OR office and throughout our offices in the west. Along with April Smith, she also supports the Spokane, Kennewick and Boise offices. As Adrienne develops these relationships, she tries to genuinely understand those she meets and each individual’s perspective. Every client is different, and by listening and learning what matters to them, she can help GeoEngineers meet clients’ needs. In her off hours, Adrienne runs a Girl Scout troop — reinvesting in an organization that meant a lot to her as a child. She and her husband also enjoy exploring local breweries and even crafting their own brews at home!